Praise from some of our happy students! I was not sure what to expect since I had never really done ballroom dancing before and was worried I wouldn't fit in. Boy was I wrong! From the moment I entered the studio, Alonzo and his partner JaeLynn made me feel welcome. They are both great dancers and teachers, but they are also so down to earth and funny! When you sign up for dance lessons, you want to learn new skills but you also want to have a good time and Savannah Ballroom makes sure you do both. I did mostly private lessons to get ready for my competition but they also offer group classes and even "dance parties" every couple of weeks. I highly recommend signing up! My wife and I could not be happier with our experience at Savannah Ballroom. I went into the experience saying to myself I was going to take just one lesson and see if it was for me and ended up going every week. For someone that always thought they had two left feet I now feel confident and relaxed on the dance floor. 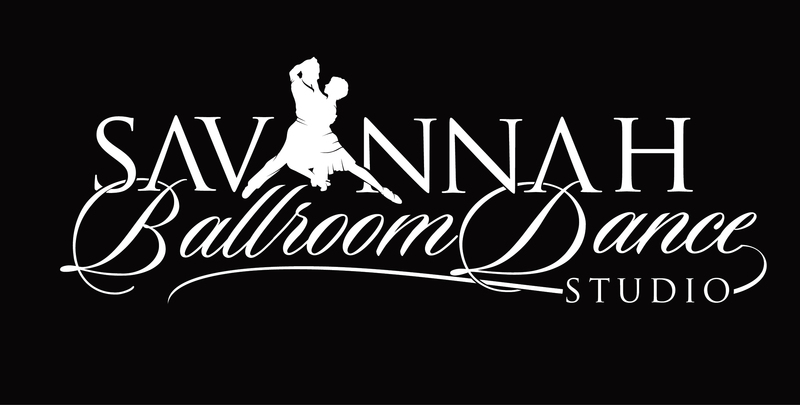 If you are considering dance lesson you can not do any better the Savannah Ballroom. There are so many things I love about dance in all its forms: the way it enables us to express ourselves gracefully and artfully, or to become another person entirely; how each careful step is measured in time, and brings a greater depth to every song. During the time I was with them, the people of Savannah Ballroom not only personified the spirit of dance, but were truly inspirational in their methods of instruction. It was never enough to finish the class and be done with it; they wanted to see that I was enjoying both the lessons and their company, which I certainly did. And though I no longer live in Savannah, Alonzo and Jaelynn remain close at heart, and I am forever grateful for their hard work and dedication to making dance remain a joyful and fulfilling part of my life. Alonzo and JaeLynn make you feel welcome as soon as you step in the door. I was a little nervous about dancing, as I have never set foot in a ballroom studio my entire life! They worked with me and patiently taught me something I have always dreamed of doing, but never thought I could actually accomplish. I have confidence on the dance floor and have become obsessed with ballroom dancing! Alonzo and JaeLynn take instruction from world class trainers and are always improving their technique so they can improve their students' dancing and bring the best instruction and dance to Savannah. You will have so much fun and you will realize you should have been dancing your whole life. If you have ever had any doubts about ballroom dancing please contact Alonzo or Jaelynn. All my adult life I stayed away from dancing. However I changed my mind and am so glad I started lessons. I'ts fun and good cardio. It's not easy yet Jaelynn and Alonzo know exactly how to bring you along and look forward so much to the next lesson or dance party. On scale of ten I'll say twelve.